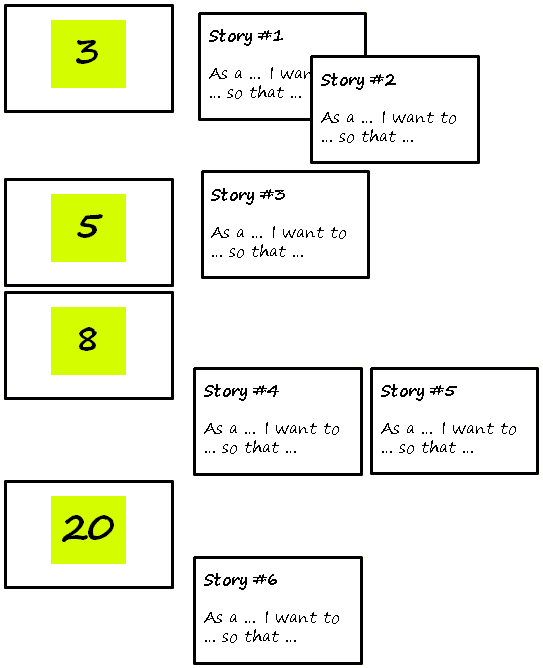 In today’s Backlog Grooming I tried a new method of estimating user stories. 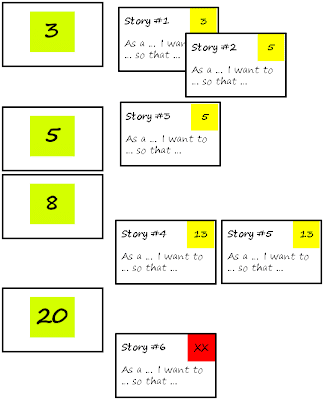 The estimations were based on and related to known done-stories of former sprints. The method is very simple and contains only five steps. Your Product Owner should be prepared for Backlog Grooming and bring his top-priority stories for discussion and estimation. 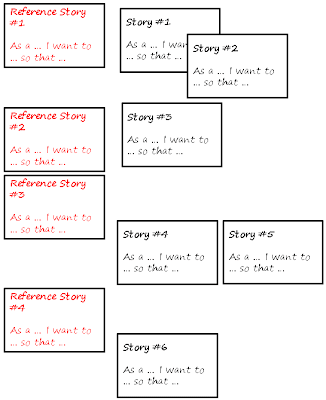 Pick a few random stories from your already done stories. 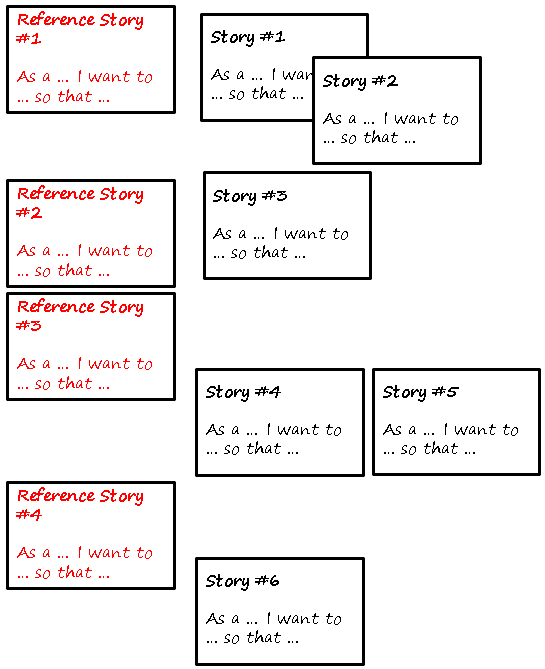 Make sure their story points differ enough so a typical mixture of story points is in the set. 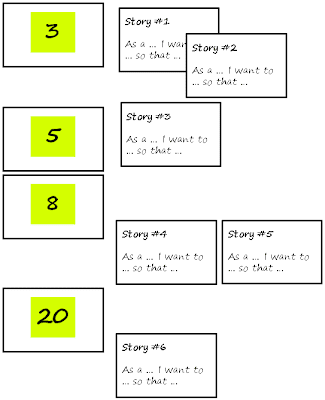 In today’s experiment I chose stories with 3, 5, 8, and 20 points. 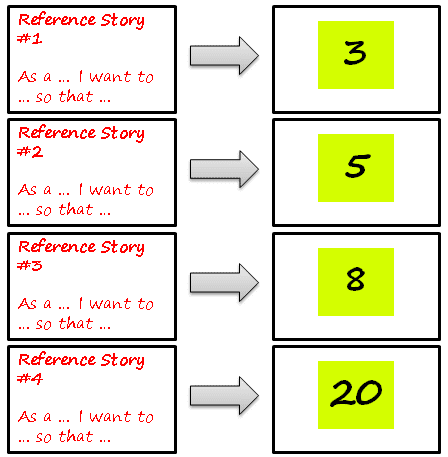 Then write a new reference story card for each of them in the following way: write the story on the front of the card and write its story points on the back of the card. Make sure to hide the story points from the team’s eyes for now. Let the team find the right order of old reference stories and new undone stories. 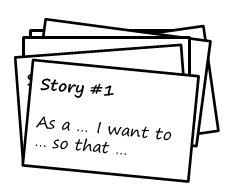 You will notice much more comparative conversation on the stories than with playing Planning Poker. Now the fun part begins. 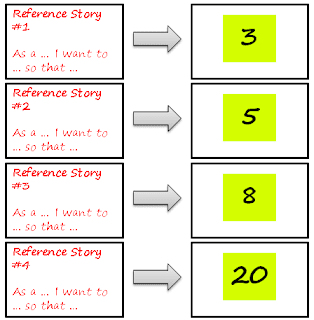 Turn the reference stories and surprise the team by showing the reference story points. Let the team discuss if any adjustments are necessary. There will be more conversations on single cards to gain more understanding. Some stories may change due to these conversations. Take care that stories with high points get split properly. 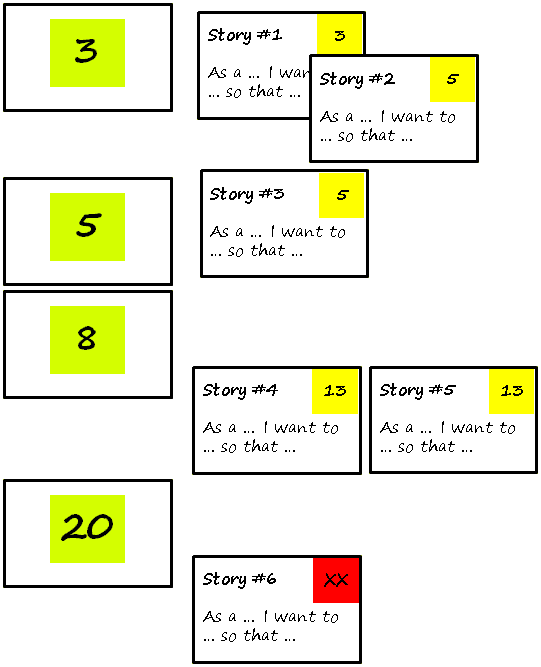 In today’s example the story at the bottom with 20 points could be discussed and split into two stories. The result was much deeper understanding of the real value for both the team and the Product Owner. I’m looking forward to the Sprint Planning meeting next Monday.